If you experience skin redness, you know how challenging it can be to find skincare products to help deal with this issue. Whether your redness is related to delicate or aging skin, acne, or simple irritation, there are products available that can help you get the even skin tone you desire. Facial redness can be both uncomfortable and unsightly. Fortunately, there are a number of skincare products that can provide relief. 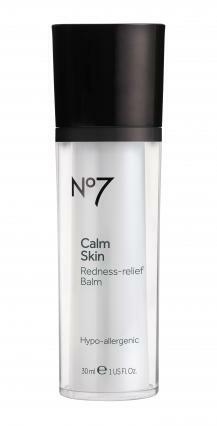 If you have delicate skin that experiences redness and you're looking for instant relief, Boots No 7 Calm Skin Redness Relief Balm is a product you may find to be helpful. Designed to help calm rosiness in delicate skin, this product is a smooth, cooling gel that feels clean and calming when it is applied. Its smoothing properties come from a combination of licorice root extract, which can help calm skin by aiding in reduction of blood vessel activity, and horse chestnut extract to smooth irritation. This product also offers skin-firming benefits in the form of a proprietary firming complex designed to strengthen collagen and elastin. As with all items in the Boots No7 line, this product is hypo-allergenic and safe for all skin types, including sensitive skin. It comes in 1 fluid ounce containers priced around $20 at Ulta. 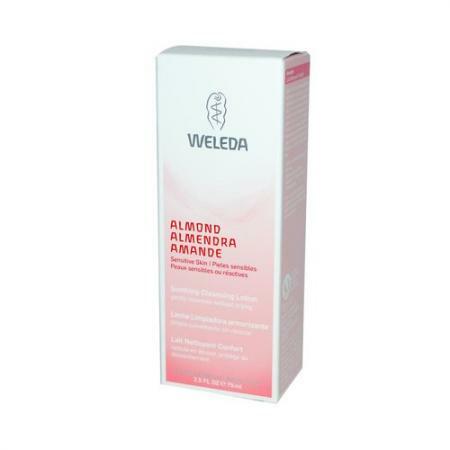 Designed especially for sensitive skin, the 100 percent certified-natural Weleda Almond soothing facial care line includes only fragrance-free, hypoallergenic ingredients selected for their soothing properties. These products can help diminish irritation and immediately reduce redness due to irritation on sensitive, reactive skin. You'll get the best results with continued use. This line has a complete skincare system that includes four products working together to reduce facial redness. Organic sweet almond oil and vitamin E are primary ingredients in the system, working together to imitate your skin's natural moisture and providing a protective barrier against the elements and other irritants. Additional ingredients include plum kernel oil and blackthorn flower extract, substances with calming properties. The products include: soothing cleansing lotion (under $15), facial lotion, facial cream, and facial oil (about $25 each). In addition to Amazon and other online retailers, the line is available at Whole Foods stores. If you're looking for a comprehensive skincare system that can help minimize facial redness due to aging or rosacea, Primavera's Revitalizing Rose Pomegranate line may be beneficial to you. You may see some redness reduction immediately, but the best results will come over time. Designed for maturing skin, the skincare line includes cleansing, toning, and moisturizing selections, as well as a rich, soothing serum, each made with organic ingredients selected specifically to reduce facial redness. Each product in this all-natural organic line includes organic rose essential oil, a substance that can help reduce broken capillaries and minimize redness and blotchiness while promoting an even skin tone through cell renewal. The products also offer the antioxidant benefits of organic pomegranate seed oil to fight damage resulting from free radicals, as well as other soothing organic ingredients including aloe vera, licorice, and green tea extracts. The Intensive Firming Cream even has a hint of green, providing a natural way to tone-down redness caused by rosacea. This skincare line is available at online retailers like Pharmaca. You can get an individual starter kit (including revitalizing cream cleanser, toner, and nourishing cream) for under $20. Full-size items of these products cost between $20 and $30 each. Murad's soothing skincare line is designed to meet the needs of individuals with sensitive skin prone to redness and irritation for a variety of reasons. The line includes a soothing gel cleanser and soothing serum and can provide immediate redness reduction benefits. These products can be used on all types of skin. They are designed to help soothe and calm sensitive skin and alleviate redness brought on by a variety of conditions. They can be effective for people who experience redness due to general dryness, overall sensitivity, rosacea, or reactions to acne treatment regimens. These items are available from Murad.com. The soothing serum is about $57 and the gel cleanser is around $35. Not all skin redness is attributed to aging or skin sensitivities. Redness associated with acne can impact people of all ages, from teenagers to mature adults. While many acne products are relatively harsh, triggering additional redness when used to help clear-up breakouts, NuSkin's Clear Action Acne Medication System works over time to soothe and calm acne-related redness as it contributes to healing. The system includes cleanser, toner, and separate day and evening acne treatment creams. The cleanser contains salicylic acid, a common acne-fighting ingredient, to help eliminate blemishes by thoroughly cleaning pores. Following up with the toner product calms and soothes skin with the soothing properties of licorice extract, a substance that also helps reduce the appearance of redness. The treatment creams help fight current acne breakouts while also helping to reduce discoloration and acne scars from past breakouts. Available from the company's network of independent distributors and the NuSkin website, the complete system is available for just under $105. In TheDermBlog.com, board-certified dermatologist Jeffrey Benabio, MD, FAAD, explains that facial redness can, in rare cases, be a sign of an underlying autoimmune condition or other medical problem. Before attempting to correct persistent or sudden-onset facial redness on your own with over-the-counter beauty products, see your doctor to verify that the problem is not one that requires medical treatment or prescription products. Note: Each company mentioned here provided free product samples to the author for review purposes. The opinions are her own.